In its outward appearance, the MIX is fairly inconspicuous in appearance, which is definitely a plus since it’s being marketed for its out-and-about friendliness. Colorwise, it’s almost completely black with a light gray HyperX logo located on the faceplate of each earcup. 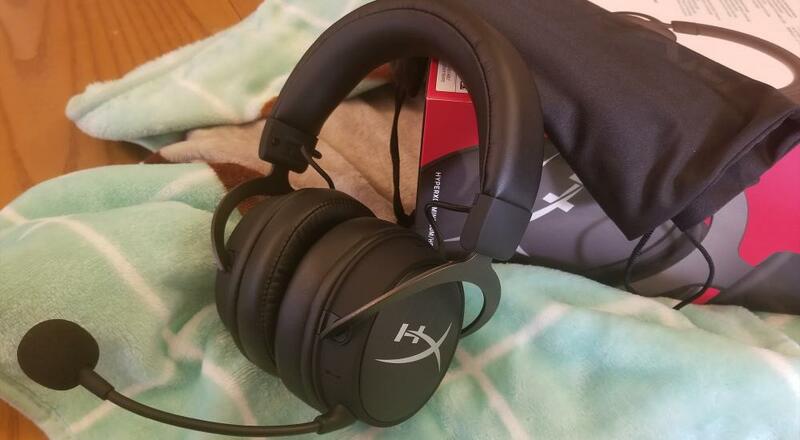 The headband and earcups are cushioned with the signature HyperX combination of memory foam covered by a smooth leatherette surface. The right earcup hosts the Bluetooth power button (which also functions as the pairing button when held down for five seconds), a volume up and volume down button, and charging port. The left earcup contains the port where the cord plugs into if you want a wired connection as well as a Bluetooth multi-function button. This button pauses music tracks and answers calls with a single press or skips forward a track with a double press. 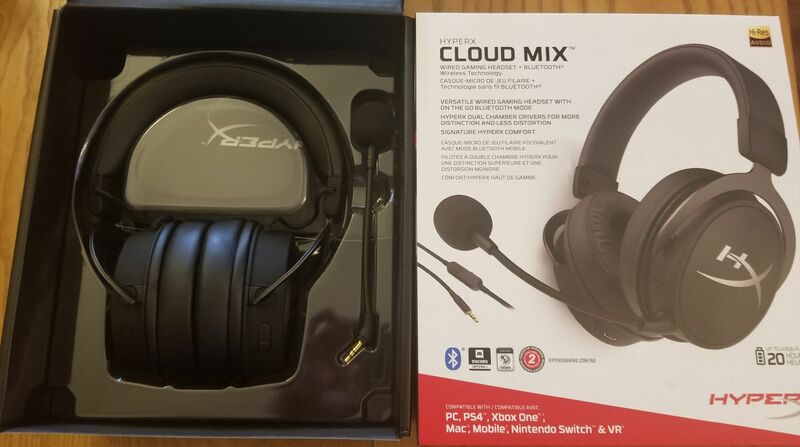 HyperX headsets are the most comfortable gaming headsets I’ve worn, and the Cloud MIX is no exception to this rule. There’s just enough compression that I never feel like it’s going to slip off my head, but loose enough that I can completely forget it’s there. The leatherette-encased memory foam cushions everything perfectly, so there’s never any fear of getting poked or otherwise irritated by hard plastic. The Cloud MIX has an unusual wireless and wired duality. When completely wireless, it’s a Bluetooth device, which can be digitally connected to a phone, computer, or any other other Bluetooth-supporting device. To go along with this mobile outlook, there’s both a built-in microphone (useable in Bluetooth mode) and a boom mic, which has a very flexible wire arm that can be attached or detached easily by a metal jack connector. 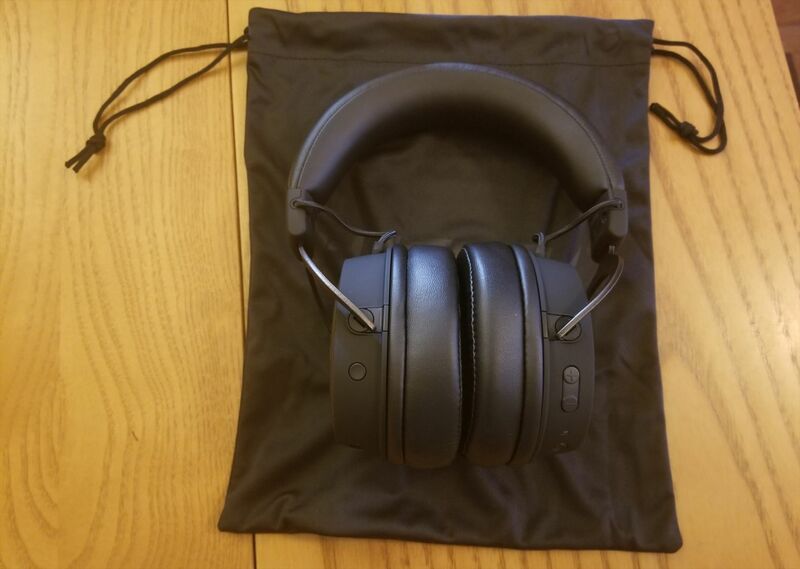 There’s a short USB cord for charging the headset when you’re using it wirelessly and it also comes with a large drawstring carrying bag that comfortably fits the peripheral and and the cords. Connecting the Cloud MIX to my phone was a breeze: my phone detected it right away and it successfully paired after the second attempt (I’ve always found Bluetooth to be a bit finicky, so this was pretty normal for me). When I turned on the headset in wireless mode, I was told both that the headset was on and the percentage of the battery power, which I thought was a nice touch. Both the built-in microphone and boom mic functioned with my phone, with the boom mic being a bit louder. Page created in 0.5420 seconds.